These little atomic earrings by MSOE team member NorthStarJewelry were created for our January 2011 challenge: particle physics. They were immediately added to my favourites - they're just so sweet! Do check out NorthStarJewelry - the shop is filled with amazing metalwork! You can also find out more on their website. 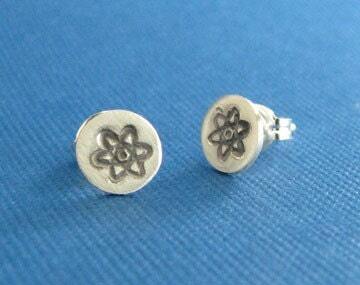 Thanks so much for featuring my little atomic earrings! They were a lot of fun to make.